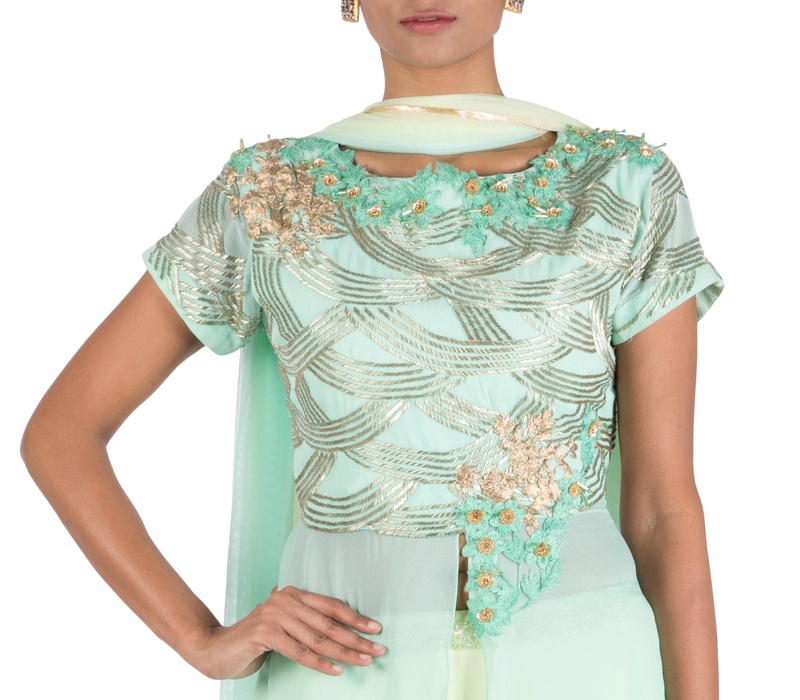 Featuring a Mint Green heavy work long short top and lehenga set.The yolk is heavily embroidered with cutdana concentric pattern and floral motif work. 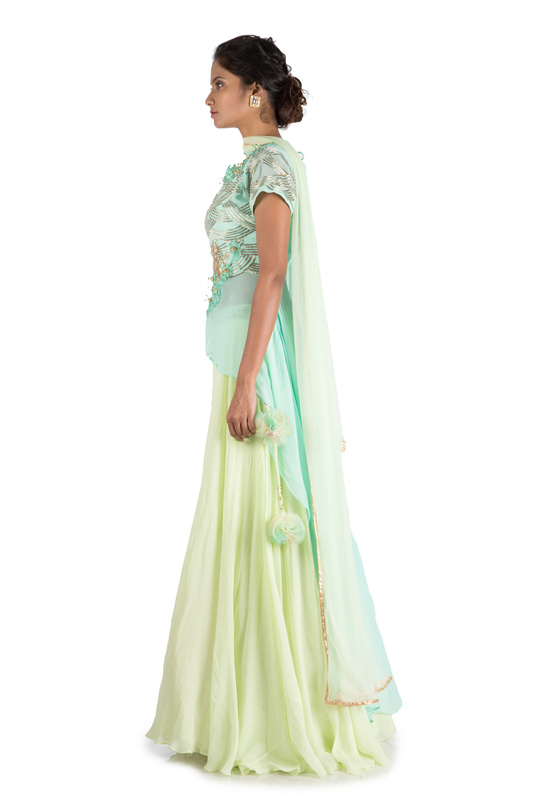 The top is paired with a lighter lime green flared skirt to give a light and flowy look. 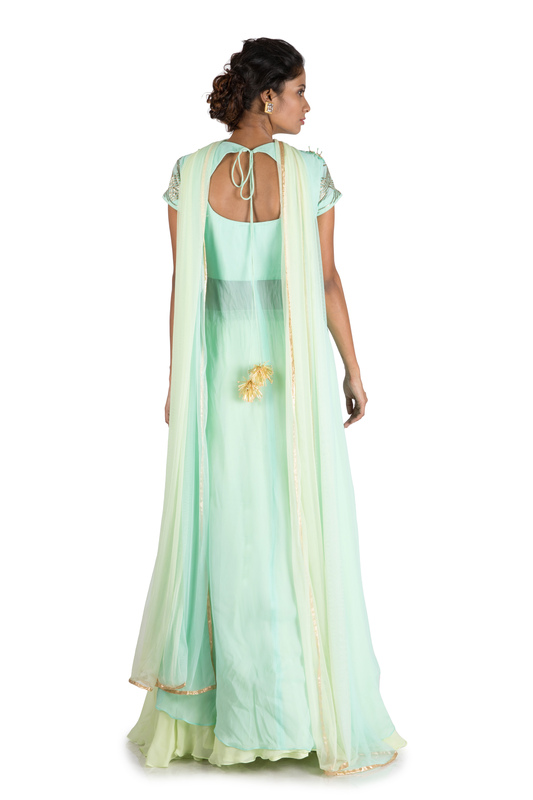 A delicate light lime green net dupatta compliments the set with delicate brooch style embroidery in the centre.